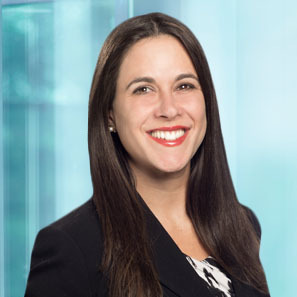 Partner Nicole Sullivan will participate in the American Chamber of Commerce Ireland's Emerging Leaders Hackathon (AmCham Hackathon) 2019 from February 7th to 9th at Dublin City University's (DCU) St. Patrick's Campus in Dublin, Ireland. The AmCham Hackathon will gather 100 emerging leaders from member companies to form multi-disciplinary, cross-sector teams to hack a solution to its World of Talent Challenge: to create an innovative, practical and applicable solution that enhances Ireland as a great place to live and work - in more distributed, international, remote and dynamic environments - in the office, at home and on the move. Hosted in partnership with DCU Ryan Academy and DCU Business School, the Hackathon provides the opportunity for nominated emerging leaders to hone their leadership skills, network in a fun and competitive environment and create innovative solutions. The American Chamber of Commerce Ireland is the leading international business organization in Ireland and the leadership voice of U.S. companies in Ireland. Its key activities are advocacy and networking. Nicole, who represents national and international clients in litigation, mediation and arbitration of complex commercial and business disputes, is no stranger to the Irish community. She currently serves on the Global Board of Digital Irish, a non-profit organization of tech and digital media representatives from Ireland and Irish communities around the world.